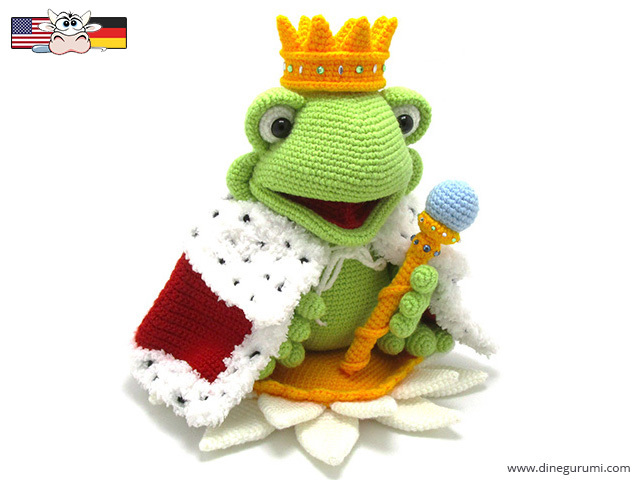 The little king frog is 25cm tall. He is well suited as an enchanted prince. because he has crown, sceptre and robe. And last but not least, he’s not just sitting around, but on a giant flower.